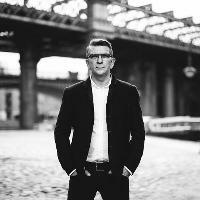 Mike Joyce (The Smiths) joins us for a very special DJ Set along side Transmission residents on Easter Monday in The Glassworks Basement. Panic on the streets of Derry! On Easter Monday Mike Joyce, drummer of legendary Manchester band The Smiths, joins our Transmission residents for a very special DJ set in the Glassworks Basement, Derry. You do not want to miss out on this one off gig as we hear the tunes that inspired The Smiths from the man himself.